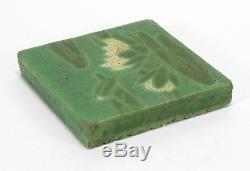 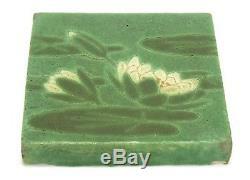 Here is an beautiful Grueby Pottery Faience Tile Co waterlily tile in two tones of green with yellow centered white flowers in their famous matte glazes. 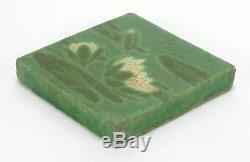 The tile measures 6 inches square and 1 inch thick. 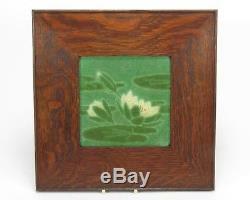 Framed, it measures 11 7/8 square. 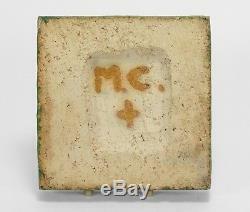 Marked only with the glazer's initials. 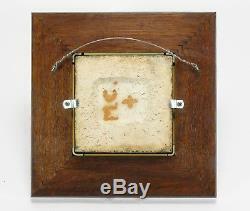 Corner chips have been filled in with epoxy and are mostly covered by the frame, but it is in otherwise in great condition with no cracks or firing flaws. 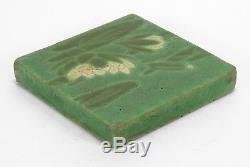 A nice example of art tile from Boston's famous Arts & Crafts Art Pottery. 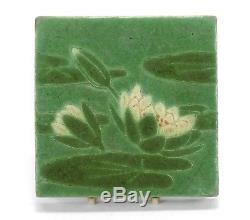 The item "Grueby Pottery Faience 6x6 waterlily tile Arts & Crafts matte green white" is in sale since Tuesday, November 6, 2018.